In Shakespeare’s Julius Caesar, one of the assassins says he’ll use flattery to lure the Roman dictator to the Capitol, comparing it to how elephants are “betrayed” with “holes,” i.e., trapped with hidden pitfalls. The comparison sounds archaic, but may soon sound a lot more so: without serious intervention, some warn that the African elephant, whose ancestors have roamed the earth for 50 million years, will fall into the final hole of extinction within 20 years. That’s right, viewers of Julius Caesar may one day ask, “what’s an elephant?” During our own lifetimes, the majestic African elephant, a highly intelligent animal that appears to have a form of language, is becoming extinct. 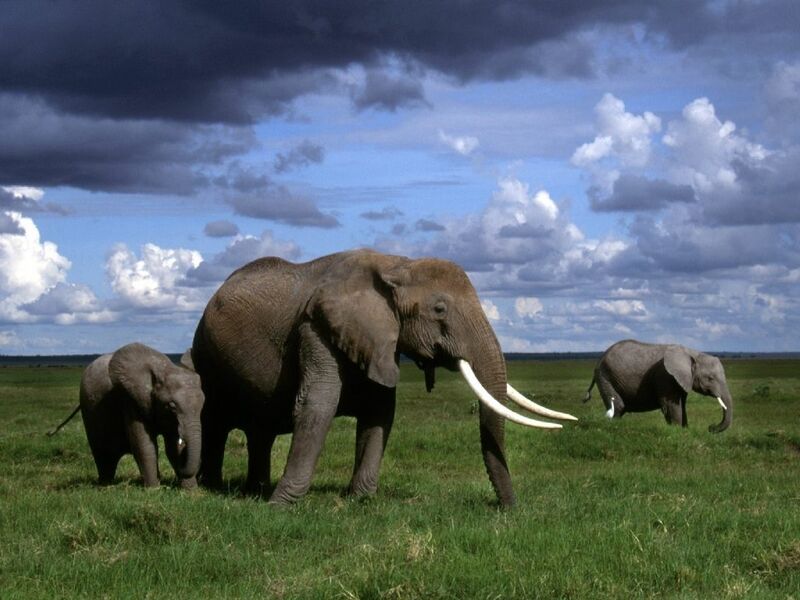 African elephants: headed towards extinction in 20 years. You may think it takes magic to make elephants suddenly disappear, but it doesn’t. It’s happening right before our eyes and we know why. According to the International Union for the Conservation of Nature, there were as few as 472,000 African elephants in 2007, down from 1.3 million in 1979. That’s an average loss of over 25,000 elephants per year. It’s no mystery how this is happening: massive numbers of elephants are being slaughtered for the illegal ivory trade. In May, the U.S. Senate Foreign Relations Committee, led by Senator John Kerry, held hearings on the “Global Implications of Poaching in Africa.” Representatives from Save the Elephants and the Convention on International Trade in Endangered Species described how an armed militia, backed by organized crime, recently massacred as many as 400 elephants in the Cameroon for their ivory. “How shockingly destructive and historically shameful it would be if we did nothing while a great species was criminally slaughtered into extinction,” said Kerry. The situation of the Asian elephant, the other species of the world’s largest land mammal, is equally dire. Today’s wild population of Asian elephants is dwindling fast and is now estimated at less than 33,000. Sadly, the plunging number may leave programs such as Elephant Trails at the National Zoo in Washington, D.C. as one of the last chances for the species’ survival. In contrast to their African cousins, the main challenge for Asian elephants is habitat loss: the forests where wild Asian elephants live are being cut down to grow cash crops, such as palm. 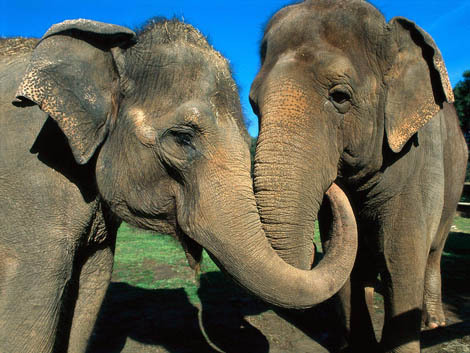 Asian elephants: less than 33,000 in the wild. To his credit, Senator Kerry is taking the problem seriously. He’s introduced Senate Bill 2318 to expand the State Department’s “Rewards Program” to include transnational organized crime and reduce trafficking of all kinds. At the May hearing, he sounded open to the idea of expanding the Rewards Program to include compensating countries that destroy stockpiles of ivory, as Gabon recently has done. What can you do? Please take a few minutes and send an email to Senator Kerry, expressing thanks for his concern about the elephants’ plight, and the hope that Senate Bill 2318 is expanded to include rewards for destroying ivory. It’s a small contribution you can make to help keep this magnificent species alive.